Nathanael Jones, Digital Assurance and Compliance manager at the Office for National Statistics (ONS), tells us about engaging staff in sharing digital skills. In March this year the Digital Publishing division within ONS began a pilot exercise in partnership with Newport City Libraries. 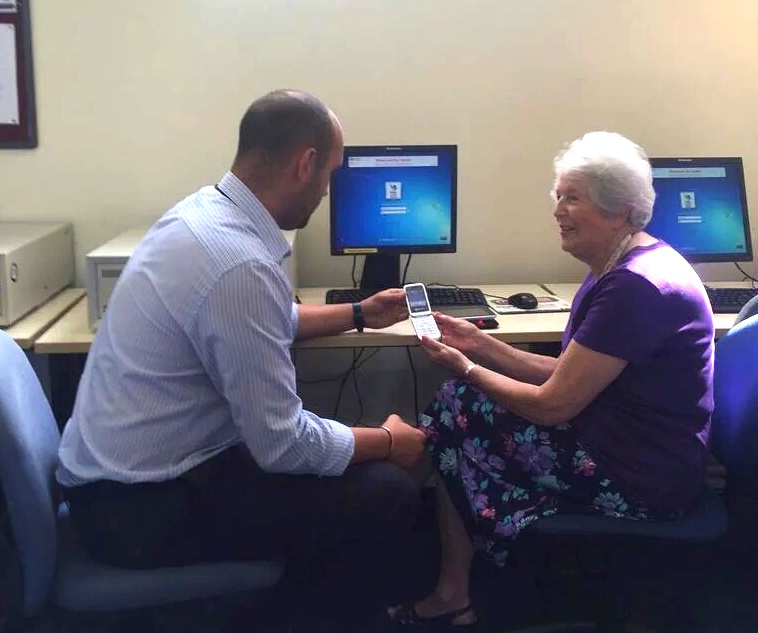 Initially, we provided 12 volunteers for the 3 month pilot to help the public with digital skills across 4 Newport libraries every Friday. Having identified the 3 busiest libraries during drop-ins, we adapted our rota to cover these and maximise the impact of our volunteers. So, how have we helped? We helped Pam, a drop-in attendee at Bettws library, email her son for the first time in Peru. She was delighted when she received photos of her family in reply. Pam now uses her new iPad to keep in contact with her son regularly, as well as Skyping him and catching up with Coronation Street on the ITV app. She’s recently joined Facebook. All of these things Pam learnt from our volunteers. Prior to coming to our sessions Pam had no experience of digital products, now there’s no holding her back. We regularly help people applying for jobs via Universal Jobmatch. Sharon is visually impaired and doesn’t have accessibility software at home, so we helped her use the library’s screen reading software. She can now access new job adverts which match her skill set and her application history. Since March we have held over 80 sessions and helped nearly 100 people with digital skills. We want to encourage more of our staff to become volunteers and widen the scheme to include more libraries. To raise awareness, I recently held a seminar where experts on digital inclusion and web accessibility: Go ON UK, Digital Communities Wales, and the Welsh Assembly Government’s Digital Inclusion Unit showed our staff how we could all get involved and make a difference. Digital Communities Wales keep us up to date with emerging digital inclusion schemes and offer free training to our team of volunteers. We’re meeting with more local councils, housing associations and government departments to share best practice on schemes that have worked well and the lessons we’ve learnt. We often forget that the things that seem everyday to us can be a challenge to someone just starting out on their digital journey. The feeling of reward from helping people get online and use new technology is what drives us as a team. As government employees we are all ‘digital by default’ and we all have our part to play to ensure the digital world is an inclusive one. Building partnerships: piloting; iterating; upscaling.